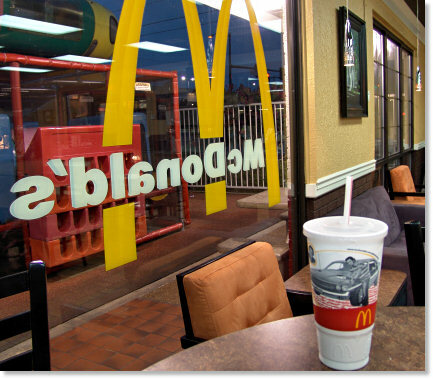 It was a slow lazy day here in Small Town, USA so we decided to invite you along for our trip to McDonalds. Trips to McDonald’s are a special treat for us, mostly because we have to drive anywhere from 30 – 45 minutes to get to one. 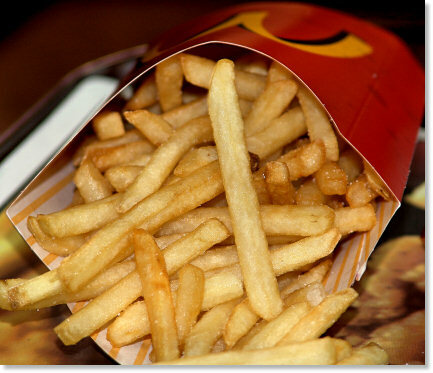 There are more carbohydrates in a supersized order of McDonalds fries than any sane person should consider eating in a month. We spent half the meal fussing with each other over which dip is best for fries. Haley likes good old fashioned catsup. My son Nick swears by the Big Mac Sauce. I on the other hand, dip them only in tarter sauce. 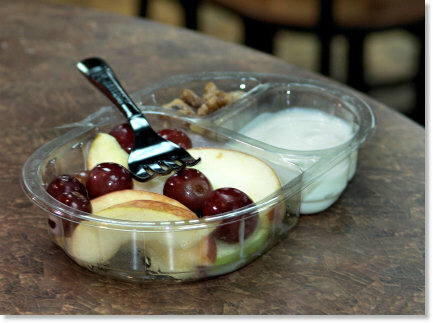 Who in their right mind orders healthy stuff in Macdonald’s? My son’s sweetie (Shona) bypassed all the good stuff on the menu and ordered the fruit, yogurt, and walnuts plate. Isn’t that unpatriotic, or sacrilegious, or something? The McDonalds french fry is pure delicious torture, especially when seeing them in these photos, as if I could grab one right off the screen. I think we might need to start up our health and fitness group again. Yum!